The Chrysler 300 has been ranked at the top of its class by US News & World Report. One of its highest ratings comes from interior features, where Chrysler has outdone many of its competitors thanks to luxurious styling and upscale materials. There are also quite a few new technology features included with the standard trim, and you can upgrade to some incredible luxury technology if you wish. The capability features of any light duty pickup trucks truly define it. That is what has made the RAM 1500 so popular over the years and to this very day. This is why our team of experts at Bald Hill Dodge Chrysler Jeep Ram located right here in Warwick are so excited to announce the arrival of the all-new 2019 model! 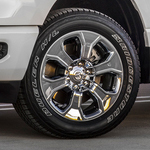 What Comes with Mopar®'s Road Hazard Tire & Wheel Plan? Drivers often come into Bald Hill Dodge Chrysler Jeep Ram, look over a promo card for Mopar®'s vehicle protection plan and wonder if there's any reason they'd want to cover a new Dodge, Chrysler or Jeep. After all, if they're buying a vehicle its new and therefore it might seem like there's no reason to buy an additional coverage policy. 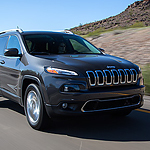 The Jeep Cherokee has been voted one of the top SUVs for its class based on its safety, reliability, and design. The exterior features of this Cherokee have been awarded for their chiseled elegance and rugged allure, while still achieving aerodynamic curves. 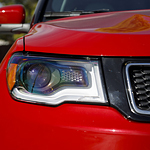 The headlamps, fog lamps, and grill design are all new. With premium upgrades, you can easily turn heads in this beautiful SUV that’s made for rugged performance. Sometimes the job just needs to get done and you need a heavy-duty pickup truck that can handle it. The RAM 2500 is a favorite when the job just can’t wait. The RAM now has exterior features that make it even more capable than before. 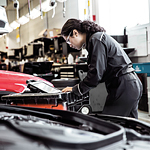 On occasion, a vehicle manufacturer will feel that there is a need to issue a recall for one of their current models. A notice will be sent out the owners of that vehicle, dealerships and the public. Usually, these recalls have to do with some sort of safety concern. It might be a minor fix, or the recall could be because of something much more involved. 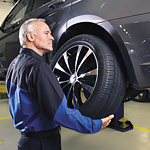 Regardless of the reason, it is important to take the necessary steps towards having the issue repaired. When you’re driving on the roads of Warwick, it’s important to have a winter survival kit. This way, if you need assistance in any way, you are prepared. 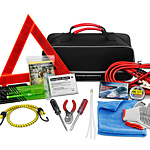 At Bald Hill Dodge Chrysler Jeep Ram, we recommend a few critical things inside your kit. 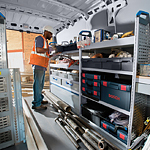 The Ram ProMaster has great warranties. These would include a 5-year, 60,000-mile gas powertrain warranty, a 3-year, 36,000-mile basic limited warranty and a 100,000-mile limited rust-through warranty. Here at Bald Hill Dodge Chrysler Jeep Ram in Warwick, we find that the Jeep Compass is a popular compact SUV among consumers. We strive to keep our customers informed about our models so that they can get behind the wheel of a vehicle that best suits their needs. 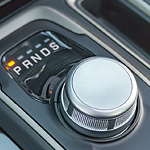 The Jeep Compass comes with innovative capability features that you can read about a few below. Shopping for a new vehicle can be a very overwhelming process. Once you find a vehicle you like from the exterior viewpoint, you have to start looking at the various interior features. Jeep packs their vehicles full of great features that are designed to bring you convenience and safety. Not only can you basically customize the interior look of your vehicle by selecting seat colors and materials, but you also have the ability to select minor details like the color of the stitching in your vehicle.